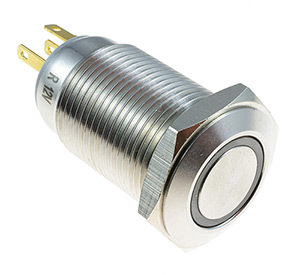 High quality vandal proof push button switch with LED illumination. The metal switch has an attractive design which compliments quality panels and dashboards. With an IP65 or IP67 rating, the switch is waterproof and fits 16mm diameter panel cut-outs.